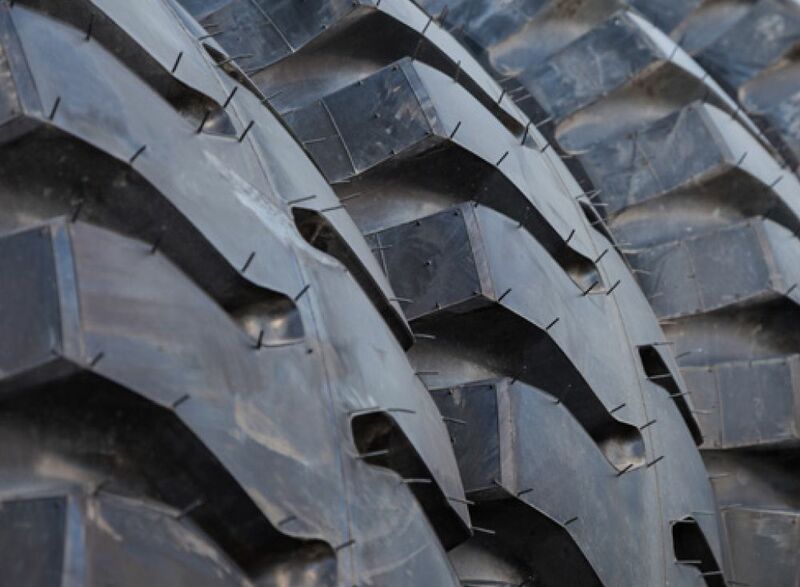 If you’re in the business of mining, transport, construction, or agriculture, you know how difficult it can be to get large-scale equipment from point A to point B. 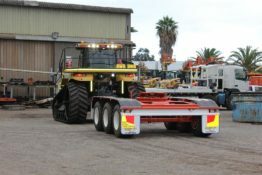 This is especially the case when configuring big rigs or building a new development from the ground up, having to move back and forth with all the necessary components – some of which are simply too large to transport without heavy-duty trailers. We have more than five decades of hard-earned experience in the manufacturing of heavy-duty trailers for a variety of applications. 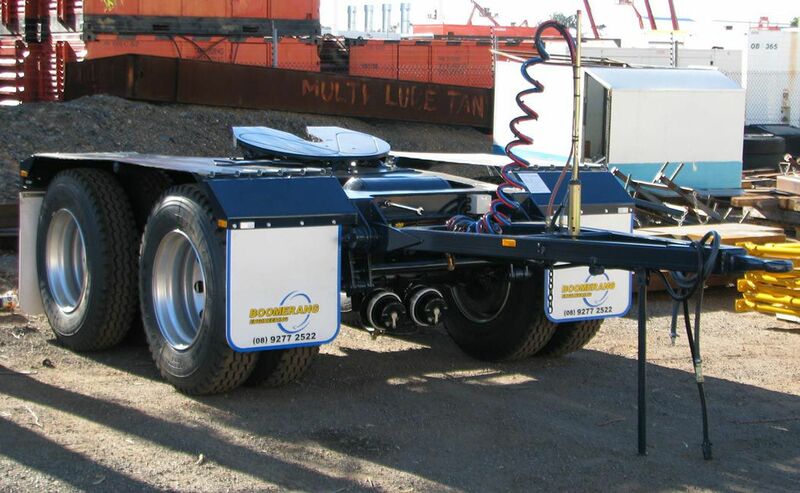 One of our most popular products is the trailer dolly, a piece of equipment that can be used for a large number of transportation items relevant to the mining, construction, and agricultural industries. This is because a dolly makes immovable objects movable. As the name suggests, converter dollies are used to convert an existing transport infrastructure into a larger version of itself, thus allowing it to move added loads via a new platform. 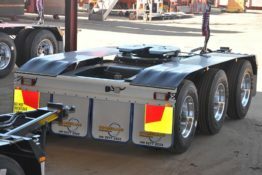 This is an ideal link to your road-train, with a converter gear that houses a coupling device of one or two axles, and a fifth wheel by which the trailer can be coupled to the rear of a truck-trailer combination. 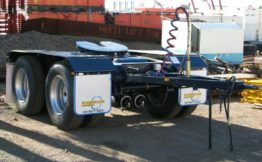 A low loader dolly is different from a converter dolly, as it uses a kingpin instead of a drawer coupling, meaning that extremely heavy cargo won’t overload the wheels of the truck. 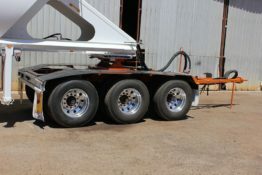 This also means that it is legally allowed to carry loads of up to 12-feet in height – something that other trailer dollies cannot accomplish. 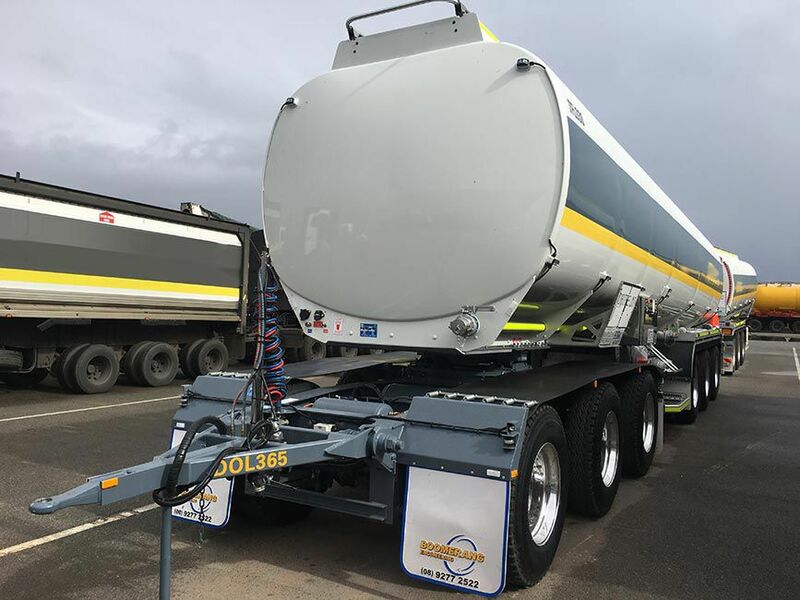 Boom dollies are specialist trailers that have been designed to meet specific needs of the construction industry, related directly to the movement of a crane boom. 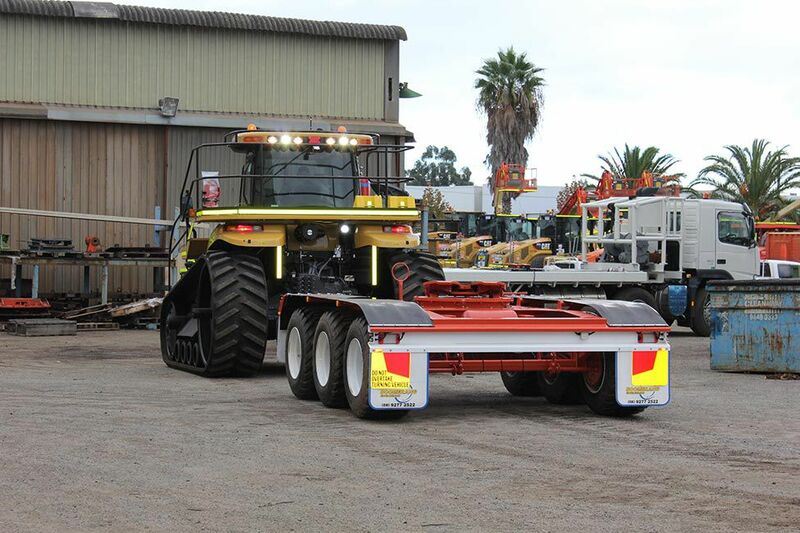 A boom dolly will allow you to keep more of the boom intact while you transport it, resulting in saved time and therefore savings in cost. 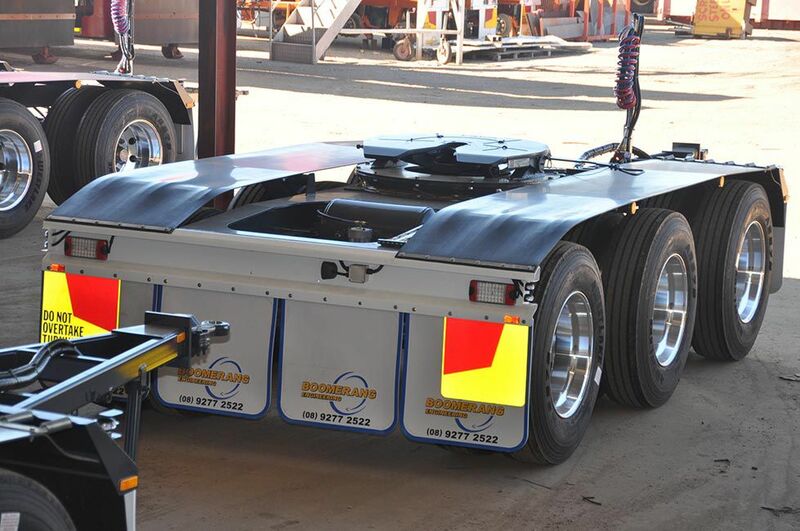 For all your heavy haulage needs in Australia, you can rely on Boomerang Engineering. Our time in the industry means that we’re capable of designing custom dolly outcomes that will target your application criteria. 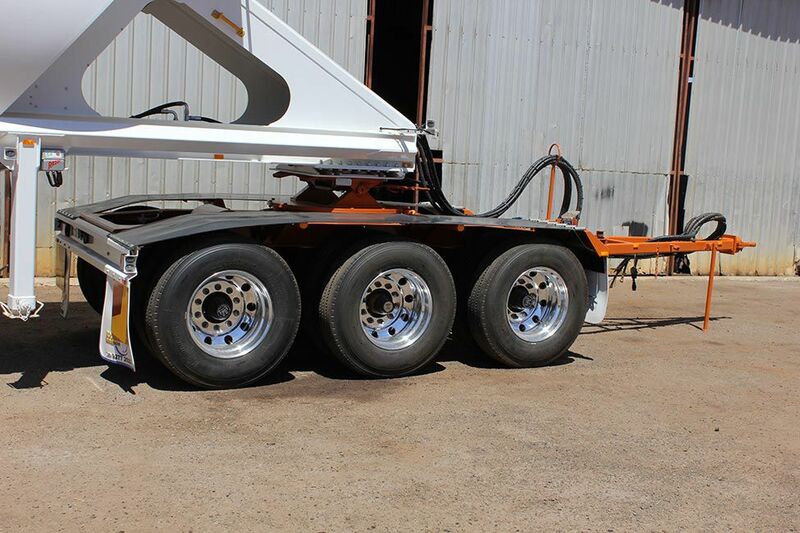 On top of this, we also perform full restoration and maintenance on heavy-duty transport equipment. 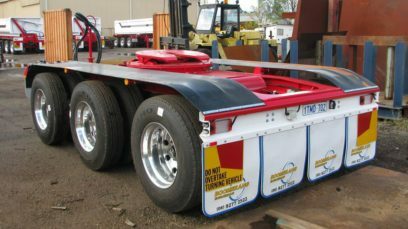 Rest assured that all our operations meet relevant Australian Design Rules and include both spring and airbag options with EBS/ABS. For more information or to request an obligation-free quote, speak to a consultant on (08) 9277 2522 today. Alternatively, make use of our contact form, and someone from our team will get back to you.